As I am soon to leave for my first overseas adventure, I am hoping to gain some advice on where the best place would be for me to purchase a quality travelling backpack; preferably one that can withstand the wear and tear of travel and hiking. Please also include price ranges if you can, but all answers are welcome. As with anything, it's a good idea to shop around when buying a backpack. One size definitely doesn't fit all! Different kinds of backpacks suit different body types and different kinds of travel / adventure. For example, they're available in different sizes which suit different size people and the kind of journey you'll be doing. For example, if you were doing a two-week hike in the wilderness you'd need a different kind of pack than if you were spending a year travelling around Europe. I'd recommend going to a hiking shop such as Kathmandu, Mountain Design or Paddy Pallin, and speaking to some of their staff. Most people who work at these stores are experienced bushwalkers and travellers and would be able to give you expert advice. The packs may be a bit more expensive than elsewhere but they'd be of top quality and perfect for your specific height and strength, and the kind of travel you're planning. 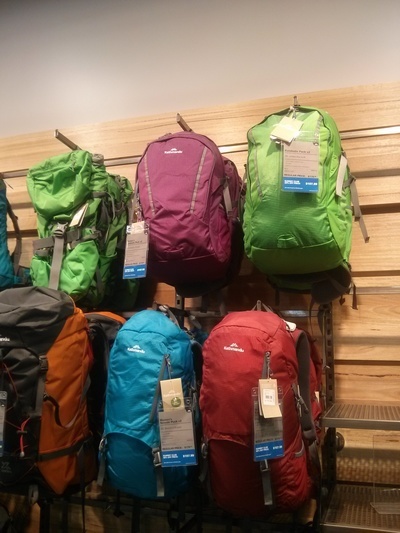 A great place to head for trekking gear is Kent Street as there are numerous shops along the street that cater to outdoors and hiking trips. Just to name a handful there is Paddy Palin, Kathmandu, Trek & Travel, Adventure Mega Store, Mountain Equipment, Mountain Design and Larry Adler. If you head to the corner of Kent and Bathurst Streets you should be able to see most of them! It is a great chance to scout out the best deals all in one place! Really great answers guys, thank you. I like Kathmandu at The Galeries Victoria. Otherwise there is a place that sells luggage in Birkenhead Point that is also worthy.